City of Industry, California, August 4th 2011 – GIGABYTE TECHNOLGY Co. Ltd., a leading manufacturer of motherboards and graphics cards, today announced the launch of the new G1.Sniper 2 motherboard, the latest G1-Killer Series motherboard designed for extreme gaming on the latest Intel® Z68 chipset and Intel® i7 Core ‘Sandy Bridge’ processors. 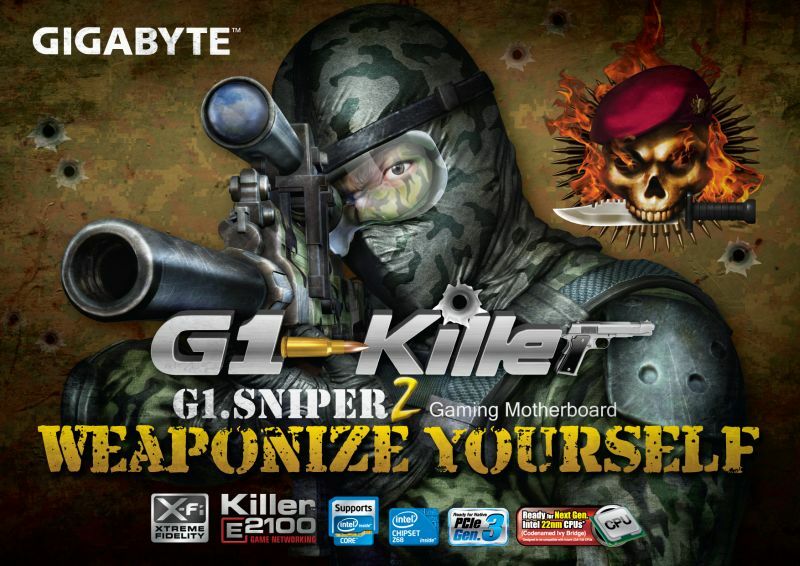 Featuring several state-of-the-art onboard solutions from renowned industry leaders Creative and Bigfoot Networks, as well as many additional and exclusive GIGABYTE features, the GIGABYTE G1.Sniper 2 motherboard takes no prisoners in its quest for gaming supremacy. I am quite intrigued with these motherboard inclined for gaming. They accommodate high processor specs and video card specs.